Féraud‐Brunel is a négociant partnership that began in 1998 between Laurence Féraud of Domaine du Pegau and André Brunel of Les Cailloux. 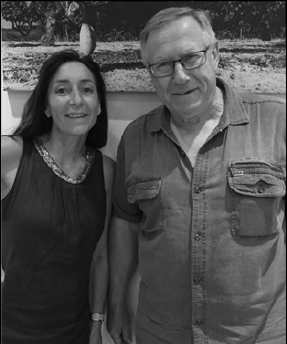 In addition to these two well known winemakers, Philippe Cambie, noted oenologist in the Southern Rhône, is also a partner. During a recent visit to Féraud‐Brunel it was André who spoke about the difficulty in finding and sourcing good quality Châteauneuf‐du‐Pape and Rasteau. 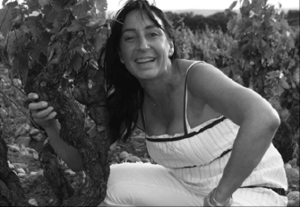 Although they are a négociant, the strength of Féraud‐Brunel lies in their considerable relationships over the years which gives them access to high quality sources in these two appellations year after year. In addition, the source for the always stellar Côtes‐du‐Rhône Villages is an estate vineyard that is owned by André Brunel near the village of Travaillan. With that said, if a wine is not up to their high standards, then they have proven they will not put their names on it for release. In fact in 2004 there was no Châteauneuf‐du‐Pape produced, and 2008 saw no wines at all under the Féraud‐Brunel label. The wines are all made in a manner that is traditional to the southern Rhône. The wines undergo either 100% or partial whole cluster fermentation that is carried out in concretetanks. No wood is used in the vinification. Because of their relationships with the growers they are able to monitor the farming and ensure that all aspects from yields to harvest date are to their satisfaction. Once harvested, the wines are made at their respective growers’ cellars and then brought to the Féraud‐Brunel winery in Châteauneuf‐du‐Pape to finish the élevage. Time in tank ranges from 18 months for the Côtes‐du‐Rhône villages to 22 months for the Châteauneuf‐du-Pape. For the past several years the lineup has consisted of three wines, a Cotes‐du‐RhoneVillages, a Rasteau, and a Châteauneuf‐du‐Pape. The Côtes‐du‐Rhône Villages is generally a blend of 80% Grenache and 20% Syrah. Depending on the year some destemming will take place. For the Rasteau, the blend is often the same but with a small percentage ofMourvèdre added and a smaller production of only 750 cases when produced. TheChâteauneuf‐du‐Pape sees less Syrah and more Mourvèdre in the blend, but is typically atleast 75% Grenache, and it averages around 1,500 cases produced.